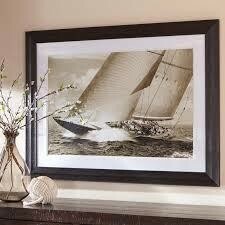 Item Description: Express your great taste and wanderlust with the Jaxton black and white framed print. Captivating nautical image is a splash of brilliance, whether gracing wall space in your den, home office or living room. Series Features: Ship Design in Black and White. Framed Print. Double Mat. D-Ring Bracket for Hanging.